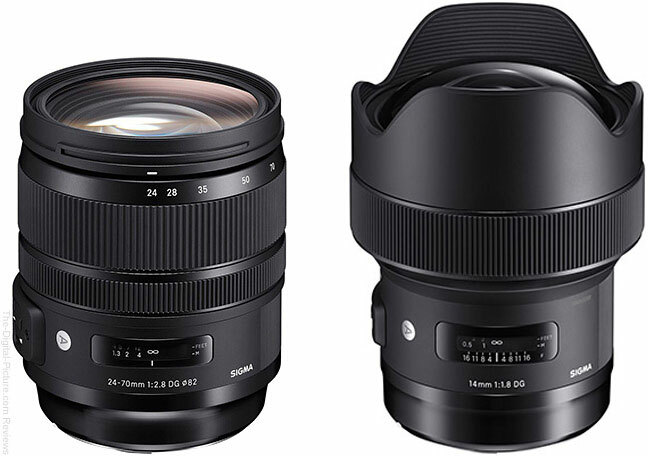 The wait is almost over; the Sigma 24-70mm f/2.8 DG OS HSM Art and Sigma 14mm f/1.8 Art lenses will be available for preorder from B&H at 1:00am Easter Time (roughly 2 hours after this post). We expect there to be high demand for these lenses; be sure to preorder early if you want to receive your lens ASAP. Be sure to use the links above to support the site. Update: Adorama also has the lenses available for preorder.